Yum! This recipe was made on-a-whim when Gabe and I wanted to make a quick and easy dinner on the grill. 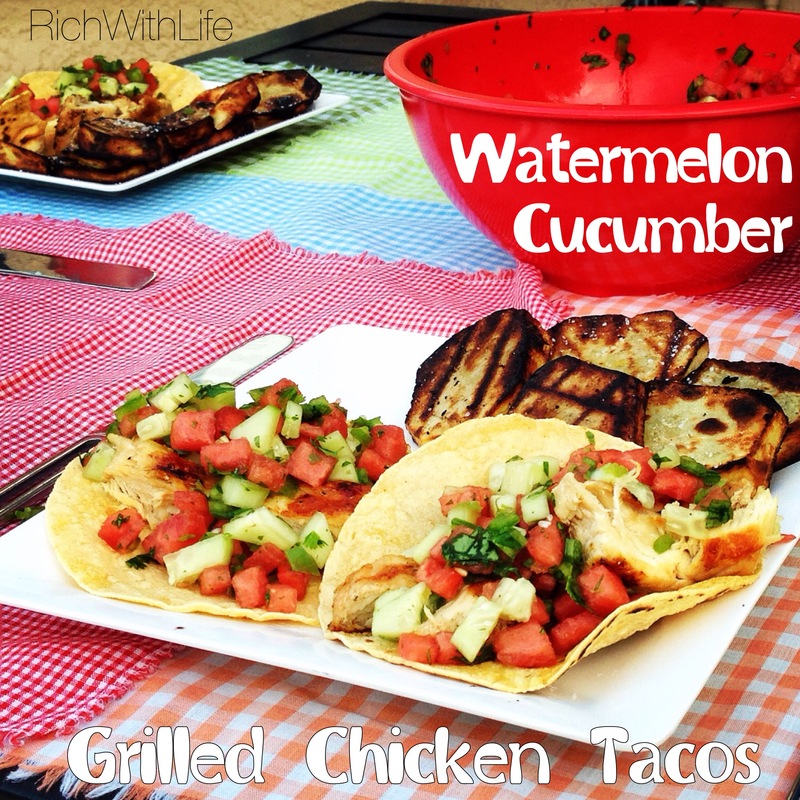 I stopped by pinterest for a few minutes and quickly decided to do some chicken tacos when I stumbled upon this awesome watermelon cucumber salsa. We are a little obsessed… It was love at first bite! What I love so much about this recipe is that it’s just perfect for a summer BBQ! 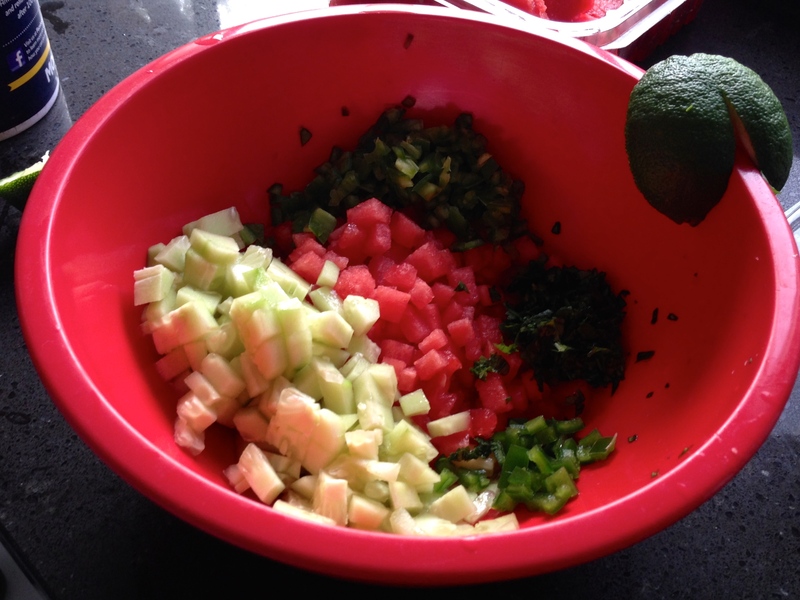 The watermelon is wonderfully cool and refreshing, while mixing so well with the salty corn tortilla! The cucumber and watermelon just give it a great crunch as you bite into the taco. And the cilantro! Ahhh it’s just so tasty! No seasoning packets or taco sauces needed, just simple seasonings from your cupboard. This meal can be put together in under 15 minutes and requires very few ingredients from the store! 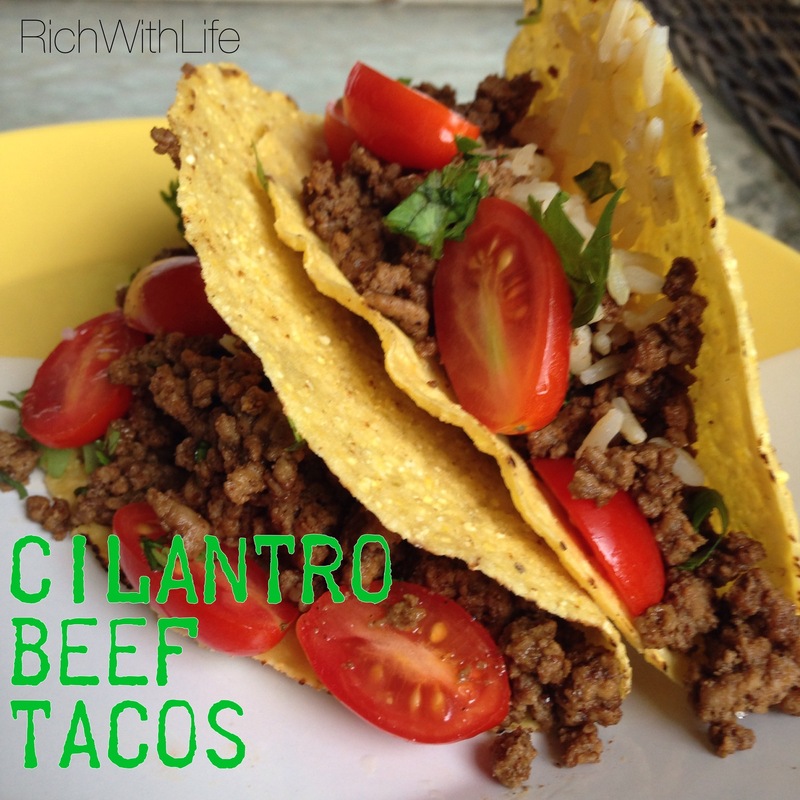 Just run in and grab ground beef, tomato, cilantro, and tortillas! This is another one of those way too easy recipes! 1 lb boneless, skinless chicken breast or 3-4 pieces. This is an old family favorite, that used to be made with rice-a-roni. I recently adapted to be gluten free, sugar free, and much more healthy without using the rice-a-roni but still having that great flavor! So yummy. Such a great comfort meal. What did you say was in these meatballs? Try this healthy alternative to breadcrumbs in your meatballs! Your guests won’t even know the difference. Tons of flavor, loved by all! This is my favorite soup in the entire world. It has SO much flavor, so many good veggies, and is just a great broth-based soup. Your sinuses will be running by the time you’ve taken the 3rd bite because of the intense flavor. Just wait until you try it! This is an old family favorite. Instead of traditional macaroni, add quinoa for a low-carb and healthy grain alternative! We now fondly refer to it as gullah-goulash, since my uncle dubbed it it that during our beach house vacation in South Carolina (where many Gullah Geechee people live). It was a big hit with my fam! You can also add bell peppers, carrots, and onions as desired.